A rising music star in Indonesia, Ryo’s sound and compositions are unique and engaging, and live performances astound audiences with his speed and agility on the instrument. He has showcased ethnic music through the violin at prestigious international events throughout Asia and beyond. In addition to winning awards for his violin playing, Ryo has won 11 awards for guitar playing, and he is also a master of the flute and harmonica. He released his first album, Kecik, in 2007. The album is a distinctive blend of classical Malay music on violin and was a resounding success. His hit single, Journey to the Deli, was featured in the popular music album compilation, Indonesian Beauty, produced by MS Productions of Indonesia with Viky Sianipar. In 2011 Ryo released the album Spirit, which included a track featuring Canadian singer Janelle Thomas. With Spirit, Ryo pushes beyond the boundaries of his traditional and ethnic realm into contemporary world music. He is a keen student of multiple genres including Bluegrass, Ragtime, Blues, Cajun, and Celtic/Irish music, as well as Indian Gypsy, Mediterranean and Avant Garde music. 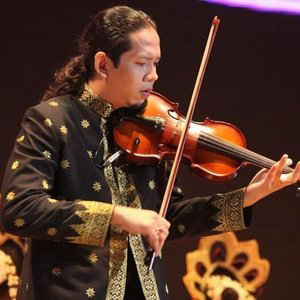 Ryo’s inspirations include Nicollo Paganini, Stephane Grapelli, Roby Lakatos, Pablo de Sarasate, Ravi Shankar, Hazrat Inayat Khan, Tan Sri P Ramli, Said Effendi and AR Rahman. He has performed with such luminaries as Siti Nurhaliza, Amy Search, Fariz RM, and Lewis Pragasam. Ryo is passionately dedicated to helping the homeless in Indonesia, and to date has mentored over 80 street musicians, ages 10 to 25, in Jakarta and Medan. Ryo’s recent projects include composing movie soundtracks with Alenia Pictures and directing several documentary films. His documentary directorial debut won second place for Best Documentary at the Denpasar International Movie Festival.